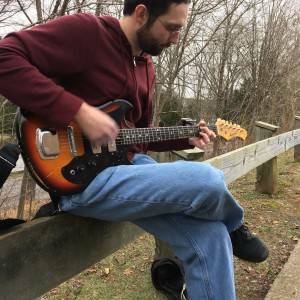 Ewall is a 34-year-old, local musician in Stockton, NJ who last logged in over a month ago. Im a singer-songwriter looking for musicians to collaborate with and hopefully gig in time. Most interested in playing originals (both my songs and group written songs), with some covers interspersed. Grew up listening to the likes of Nirvana, Smashing Pumpkins and Sonic Youth. Evolved into Wilco, Aimee Mann and Radiohead influences. Currently a big fan of Arcade Fire, St. Vincent, Phoebe Bridgers. Theres too much good music to name. Indie/Alternative is my main go to. Various electric and acoustic stringed instruments (including a bass, mandolin, banjo and ukulele).A couple mics (dynamic and condenser). Crate bass amp and Fender Princeton amp. Various guitar effects pedals as well.